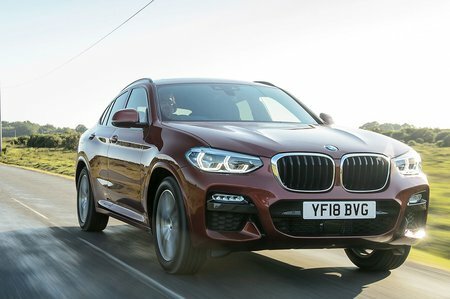 BMW X4 xDrive20d Sport 5dr Step Auto 2019 Review | What Car? What Car? will save you at least £3,228, but our approved dealers could save you even more. While the entry-level spec on the X3 is called SE, on the X4 it’s Sport, hinting at the fact that sports suspension is standard. Leather upholstery, satellite navigation, cruise control and automatic emergency braking with pedestrian recognition are all included. This four-cylinder diesel engine offers punchy performance, aided by an eight-speed automatic gearbox that always seems to be in the right gear. Plus, it’s quiet unless you rev it hard and remains impressively free from vibration.